Work on the road? Live in an RV? Sure, why not! This is our very first post, in a series, of hopefully several years worth. Who? An adventurous family of 3, including 2 (30 something) adults and 1 (awesome/intelligent/moody) 2 year old toddler will be roaming in our home around the US. Our dogs, cat, fish, and chickens will be rehomed to excellent care takers. One of us holds a steady 9-5 jobs, working 40+ hours per week, with benefits, 401k, blah blah blah. The other one of us is an entrepreneur owning a professional resume writing business, with the ability to work remotely. What? Is more like “what’s at stake?” well…. 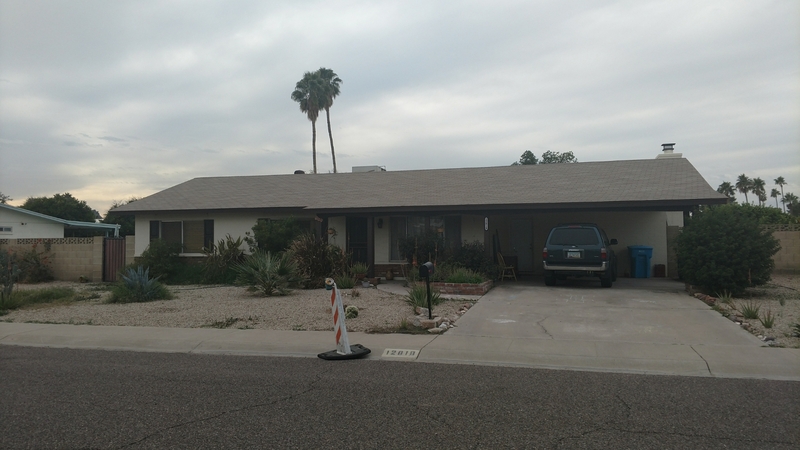 we currently own a 3 bed 2 bath, 1500+ square foot home in North Central Phoenix, Arizona. 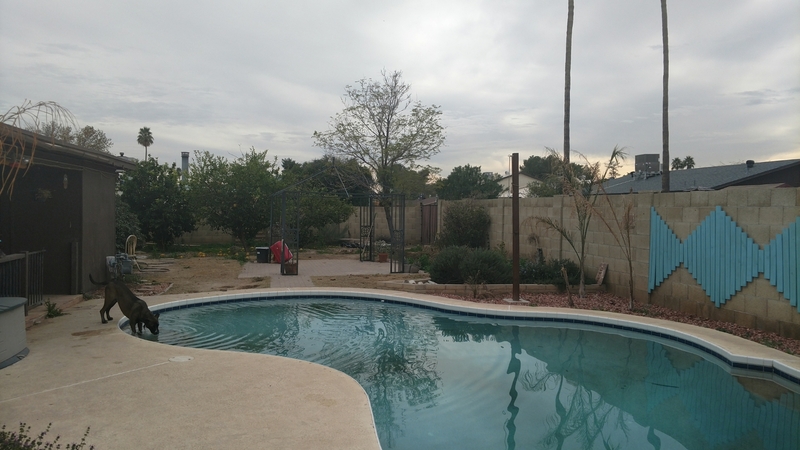 We live on a nice side street with low traffic with a huge front yard, carport, pool and large backyard (just under 1/4 acre) with 3 fruit trees (lemons, oranges, and limes), we have a 30′ covered patio, oh yeah did we mention a POOL!?! Because it’s Phoenix, that’s pretty important. Anyhow, we are risking all these comforts and luxuries for a life on the road. Here’s an old pic of our house, there are a lot more trees and plants out front now. When? Our tentative leave date will be April 1, 2017. However it is very important to keep in mind…that date is tentative and flexible. We’re shooting for this date yes, but we have a GINORMOUS list of things to finish before we can go, let alone all the prep we have on the RV. Our entire trip travel plan is based upon leaving this approximate date. So if we leave earlier or later, we will adjust travels accordingly. Where? Around the US is the easy answer. We definitely have a list of must-see places, and some might-see places. We would like to get to Maine, starting from Arizona, and heading North through California, Yosemite, Oregon, and Washington. Then we will break east, go to northern Idaho, and visit Canada and Banff National Forest. Come back through Montana, and head East before the fall kicks in. Ideally, we would like to be on the East Coast by mid-August to see the leaves turning colors. Once it gets cold, we will head south for the winter. Traveling down to Florida to spend time in Key West. Then head back West through Atlanta, Dallas, Albuquerque, and back home to Phoenix. Again, this is our FIRST TENTATIVE PLAN. We realize that it can and will change.We plan to remain flexible and adaptable along the way! I can’t wait to read more about your journey! We love living in ours, and it has brought so much more to our relationship. Happy Travels!